This Limited Edition heavy wool cutting pad is available only at Autogeek! Lake Country 6 inch Lambswool Cutting Pad, manufactured using the finest Lake Country materials, provides all of the cutting and leveling ability you’ve come to expect from a wool pad, but it’s much more user friendly. 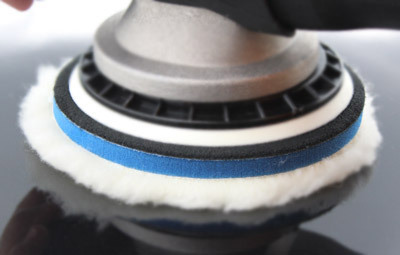 With a ¾” thick wool nap, a 3/8” thick foam interface, and a centering hole, the Lake Country 6 inch Lambswool Cutting Pad is perfect for use on either a DA or rotary polisher and dissipates heat easily for a safe and effective wool cutting step. The blue interface foam will dissipate heat and provide a consistent feel throughout your compounding process. With those qualities in mind, Lake Country produced this limited edition 6 inch Lambswool Cutting Pad. Measuring exactly 6 inches in diameter, the Lake Country 6 inch Lambswool Cutting Pad works with your FLEX 5.5 inch manufacturer backing plate, your Porter Cable, Griot’s Garage, or Meguiar’s MT-300 Dual Action Orbital Polisher’s 6 inch backing plates, and your rotary machine with either a 5 or 6 inch backing plate (depending on desired flexibility). Lake Country 6 inch Lambswool Cutting Pad is perfect for use on either a DA or rotary polisher and dissipates heat easily for a safe and effective wool cutting step. Lake Country 6 inch Lambswool Cutting Pad features a centering hole directly in the middle of the pad to help release heat and to prevent any pigtailing that often occurs in the center of wools pads. 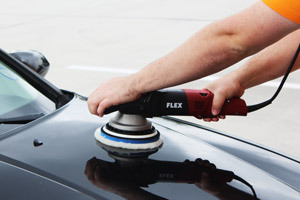 Lake Country’s state of the art blue foam interface also dissipates heat and provides a consistent feel and result through the compound process. 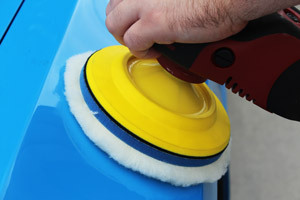 Whether you use your Lake Country 6 inch Lambswool Cutting Pad on a DA or Rotary polisher, after you’ve seen your results, you’ll be glad you used it at all!